We at the Kedron Veterinary clinic are excited to introduce the addition of a “K-Laser”. The machine offers therapeutic laser treatments for advanced pain relief and enhanced tissue/wound healing. K-Laser Class IV therapeutic lasers deliver specific red and near-infrared wavelengths of laser light to induce a photochemical reaction and therapeutic ​effect. Physiological effects include increased circulation, reduced inflammation, pain reduction and enhanced tissue healing. Laser therapy has been used in Europe since the 1970s for human medicine and now becoming an intricate part of veterinary medicine with 1 in 4 practices in America practicing laser therapy. We are very excited to be able to offer the very latest laser therapy technology to our patients with the K-Laser. 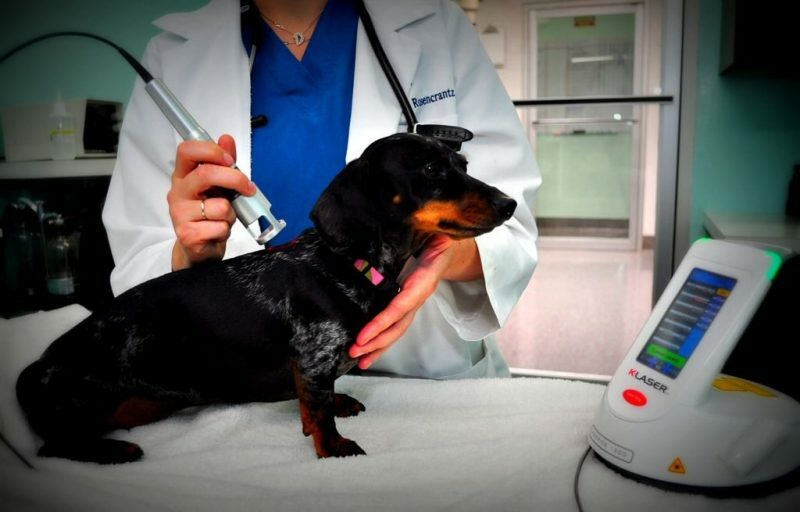 For more information on the Laser therapy and to find out if it can benefit your pet, please do not hesitate to call us at Kedron veterinary clinic.